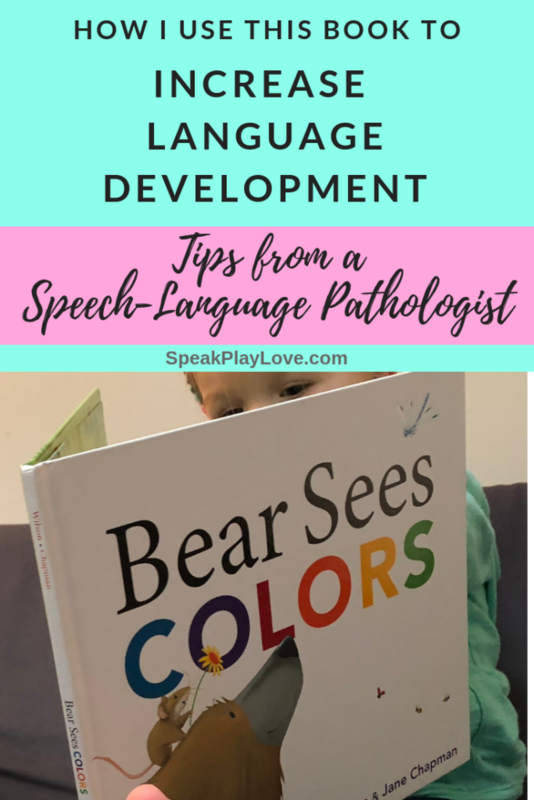 Here’s One of My Favorite Books: How I Use Bear Sees Colors Book for Language Development | Speak. Play. Love. Back when I lived in Boston and worked as a Speech-Language Pathologist in the schools, one of my favorite teachers that I worked with recommended this book from the school’s book fair. 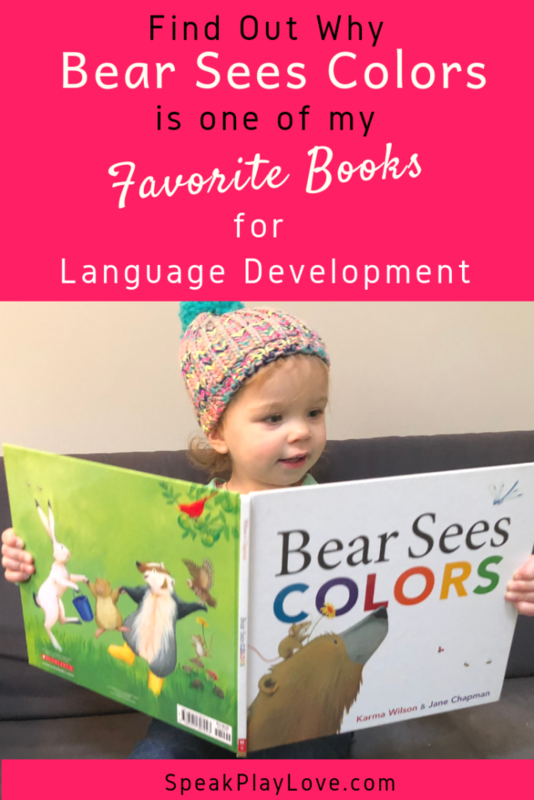 I’m so glad she did because this book has gotten A LOT of use over the past few years during therapy with preschoolers and now with my own little girl! This book has a lovely rhyming scheme and flow, so it is just really fun to read aloud! 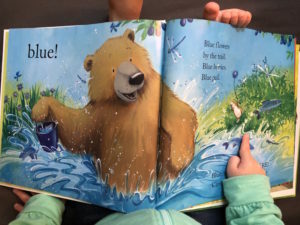 Point out the characters as you go because these animals are unique and your child might not have encountered a raven, badger, mole, hare, or gopher yet. 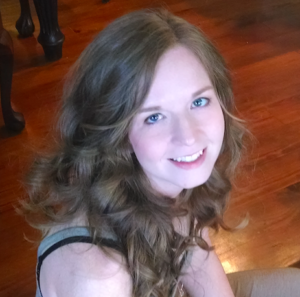 The author also uses unique word choices for common items like galoshes for rain boots, etc. This is great for vocabulary building! 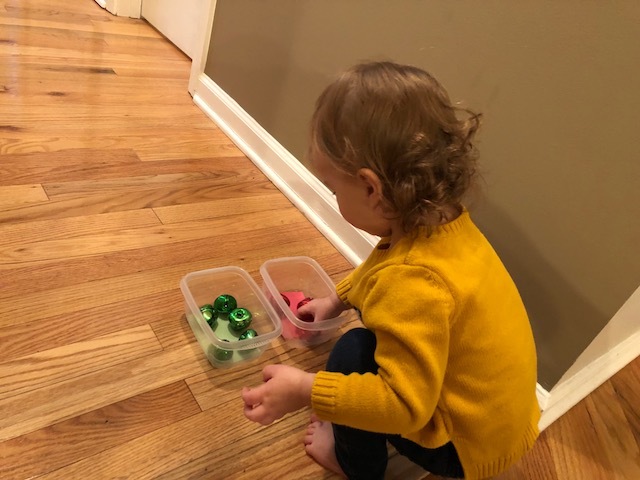 For pre-talkers, you can point to something on the page and label what it is: “fish.” Then guide your little one to point to something and tell her what it is! For very early talkers, do the same as above but see if she will imitate you. Try telling her the word 1-2 times, but if she doesn’t repeat it, it’s okay! For children working on combining two words, this is the perfect book because everything on the color page starts with the same color. You can label a blue fish, blue bucket, blue flower, etc. Take turns to see if she can combine two words. This book naturally works with the Expectant Pause strategy, which is a great way to encourage children to chime in. Read more about using the Expectant Pause here. Most children love repetition, so after you’ve read this book a few times your child will be excited to fill in the end of your sentence! 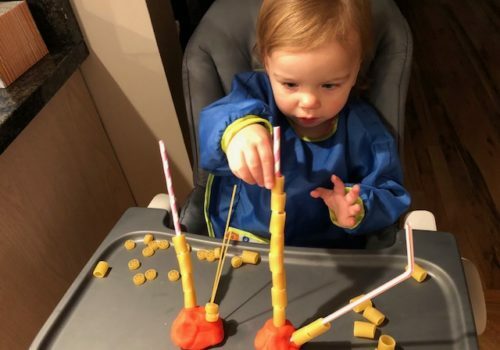 Building vocabulary with action words can be extra fun for a busy little one because you can ask him to act out the action just like the characters in the book. 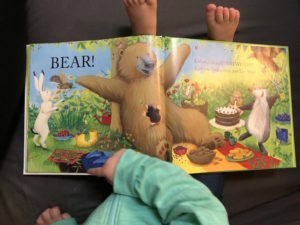 Depending on your child’s level you might tell him, “Roll around like bear!” This is great for building receptive language (how your child understands and processes language). 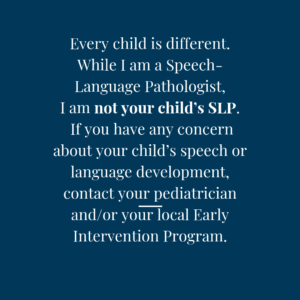 OR you can work on expressive language (how your child talks) by asking him, “What is bear doing?” See if he’ll answer you and then get silly acting it out! At the end of the book the characters have a picnic. 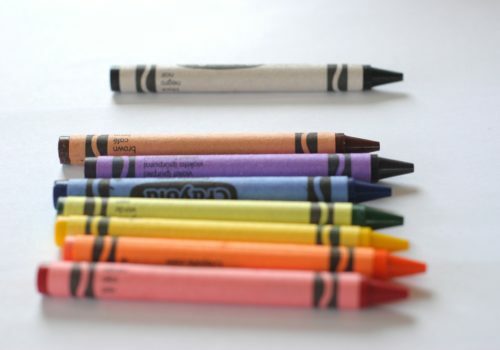 You can keep playing “I see” to reinforce the turn taking skills you practiced on the color pages. You can talk about which foods you and your child like and which foods you don’t like that are on the picnic blanket! This is great for children who are talking at the sentence level. 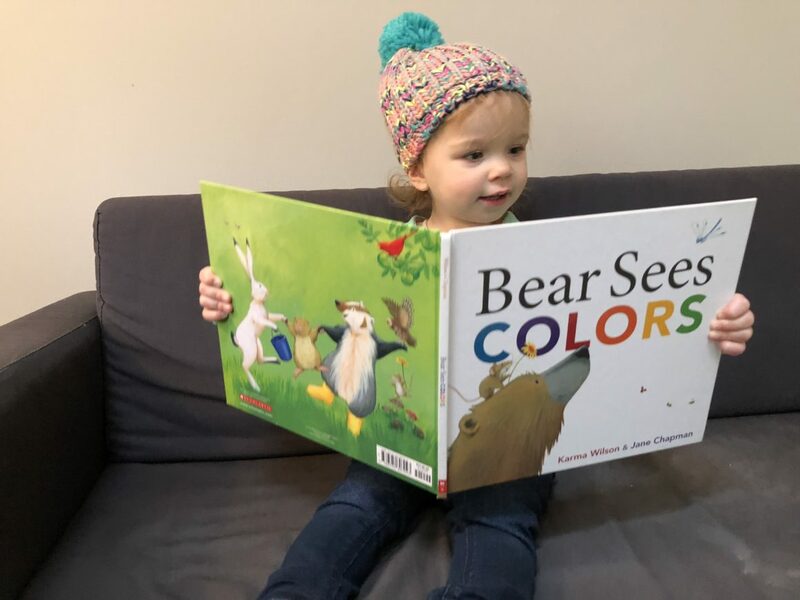 If you are interested in adding Bear Sees Colors to your library, you can find it on Amazon here. I hope you enjoy this book as much as I do! Let me know in the comments section below. What book gets your little one talking? I’m always on the lookout for new books for my library!